Installation of the miniVNA was very easy. The accompaning wintendo software runs all right. 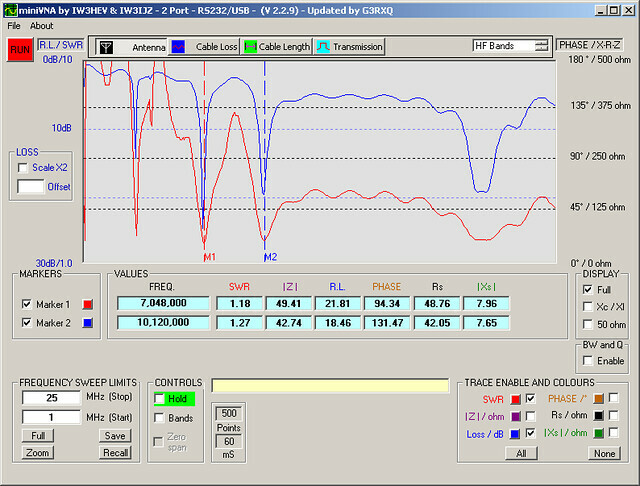 It is fast and runs continuously so you can even do real-time adjustments on the antenna. I have not tried it though. Howeverm I find it somehow silly that there is no horizontal scale – maybe the 3rd party Linux software is better. A scan over the entire HF revealed something very interesting: there is good resonance on 15 meters too! So, except on 40 and 15, the SWR is rather bad. However, I did manage to make a few good contacts on 80 including F, US5, and EA7. 40 was impossible due to some contest; there were strong CW stations all over the band – even the SSB segment! Tomorrow morning I will get up just before sunrise (06h30) and see what I can do on 40 and 15. 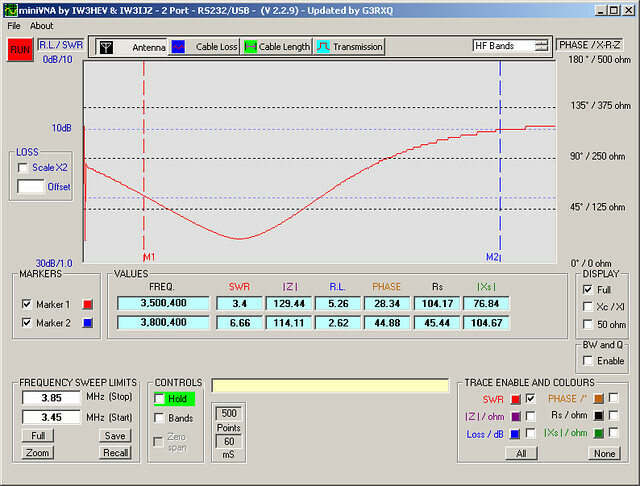 Later on I will tune the coils to have good SWR on all bands. 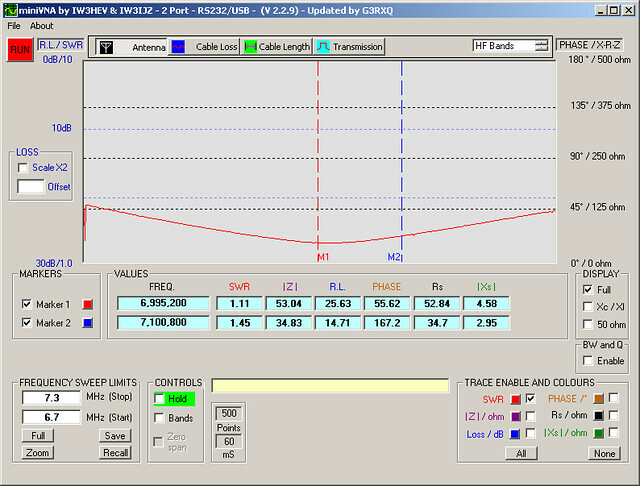 I will start wil the 30 meter coils since that is supposed to have influence on the other bands as well.